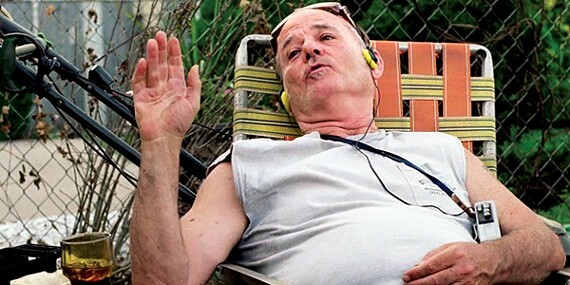 Let's just get this out of the way: Bill Murray is a national treasure. In its bones, writer/director Theodore Melfi's new film St. Vincent is a middling movie. Situations are contrived, characters teeter on the edge of stereotype, and it has a bad habit of leaning on music to foist emotion on the audience. But Bill Murray is in it. 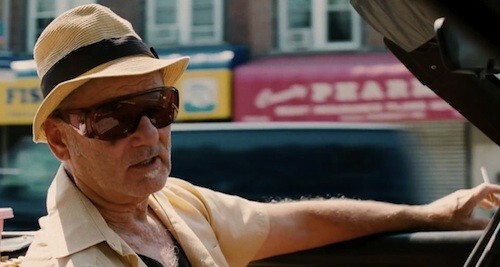 Bill Murray being brilliant in St. Vincent. Murray plays Vin, a crusty old man living alone in a decaying suburban home. He drives his convertible K-Car to spend his reverse mortgage money in strip clubs and bars every day and comes home stinking drunk to bang his favorite pregnant Russian stripper/prostitute Daka (Naomi Watts). When he finds out his reverse mortgage money is at an end, he does the only logical thing: He goes to the Belmont horse tracks to gamble his last bit of cash away. Just as he is at his lowest, he gets new neighbors: recently divorced single mom Maggie (Melissa McCarthy) and her son Oliver (Jaeden Leiberher). The story shifts to Oliver, following him to his new Catholic school where he is bullied by rich kids who steal his new phone, wallet, clothes, and house keys. When he makes it home after a traumatic first day, he discovers that he can't get into his house, and has to ask a grumpy Vin to use his landline. Maggie is an MRI nurse who works long hours, so she asks Vin to babysit for her. Desperate for money, Vin agrees, and feeds the kid sardines until Maggie gets home. He teaches Oliver to fight to ward off bullies and drags him along to the racetrack, where he discovers Oliver has a penchant for picking the ponies. This does not go over well with Maggie, but she has no choice but to go along, until her lawyer ex-husband sues for custody, and Oliver's adventures with Vin get aired in court. 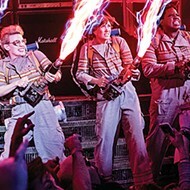 McCarthy shows her chops as doing something other than caricature. Watts takes what could have been a really insulting stereotype (what is it with the wave of Russian prostitute characters lately?) and deadpans her way to a funny, but human, Daka. Leiberher is fantastic as Oliver, a preternaturally composed middle schooler whose little-kid problems mirror Vin's old man problems. But this is Murray's movie, and he carries it with the effortless charisma that we have come to expect from America's greatest living comic actor. He doesn't so much veer from humor into pathos as explore the uncharted territory between the two. Vincent is a meticulously composed, fully realized creation that Murray sinks into. Everything that looks like a quirk or a vice at the beginning of the film is revealed to have a deeper, understandable cause. Murray is so magnetic that, at the screening I attended, the majority of the audience stuck around to watch the closing credit sequence where he schticks around with a garden hose while crooning along to Bob Dylan in his antique Walkman headphones. 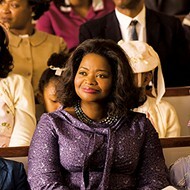 Murray's performance drives home the movie's moral: Be kind, for everyone you meet is fighting a hard battle.